Cotswolds Area of Outstanding Natural Beauty (AONB). The popular Hare Trail keeps growing! This year, it features around 130 hares, leverets, and springers - hidden across the whole Cotswolds AONB. The hares have been beautifully decorated by artists inspired by a 'Living Landscapes' theme. 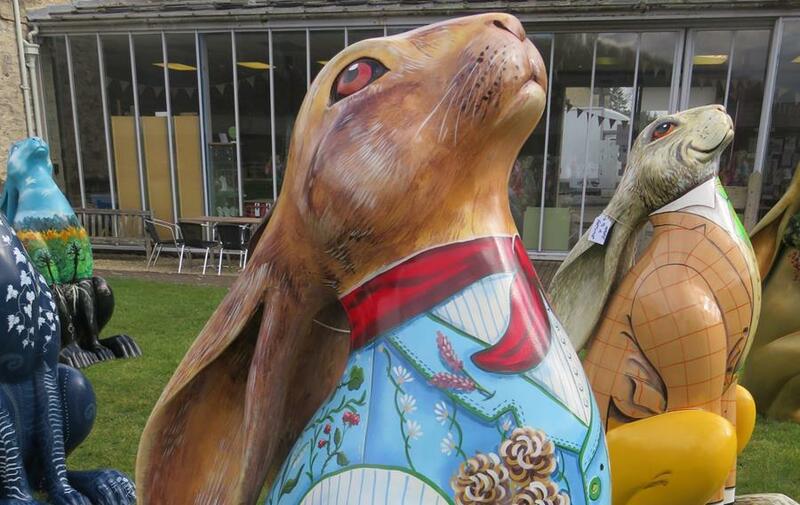 The Hare Trail will run until 9 September, and is completely free. Pick up a trail booklet and start making your way around the towns and villages hosting hares. Discover hidden corners of the Cotswolds and learn about the sponsors of the hares. And if any hares win your heart over the summer, remember that the online auction for the hares goes live on 21st September. Visit the exhibition at the King's Head in Cirencester from 16th - 21st September to see which ones you'd like to bid for and keep! 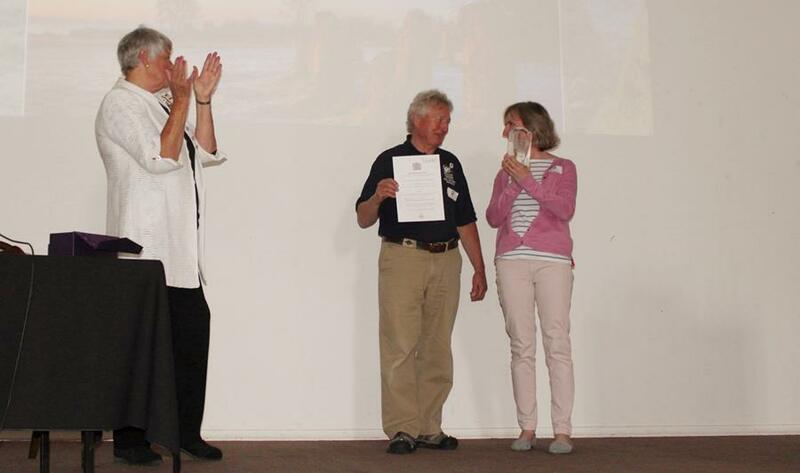 This year, the Cotswold Volunteer Wardens were given The Queen's Award for Voluntary Service. This is the highest award given to volunteer groups across the UK - to recognise outstanding work done in the own communities. It is described as the MBE for volunteer groups. Arriving in the 50th Anniversary year of the Wardens, this award is a wonderful acknowledgement of the dedication and hard work given by the Wardens. Congratulations to all 350+ of them! In June, the Wardens celebrated their anniversary and The Queen's Award at a special event held at the Royal Agricultural University in Cirencester. With talks centred around volunteering in the morning, and the cutting of cake, a walk, and other activities in the afternoon, the event was enjoyed by all. BBC Radio Gloucestershire interviewed Rebecca Jones, our Volunteer Coordinator, and a number of wardens across the weekend. The theme for the 50th anniversary of the Volunteer Wardens in the Cotswolds AONB is education, and reaching the next generation who will care for the Cotswolds. Wardens have been working in education for over 10 years, but this year the Cotswolds Conservation Board has funded a free activities folder with opportunities for schools to access the Cotswolds. In addition, the Board is working with an artist to go into 10 schools or groups to produce artwork based on the pupils’ experiences of the Cotswolds. The Rural Skills programme is beginning to work with schools too. In March, around 24 pupils at Burford School took part in a two day hedgelaying course. Over the course of the two days, over 300 metres of hedging was laid, and the pupils were immensely enthusiastic, working brilliantly together to get the work done. Our aim is that projects like these will inspire school pupils to become engaged with the local landscape, its care, and the opportunities it presents for the future. A pilot scheme arranged with the Prince's Trust and Young Gloucestershire has been successfully running all summer. The pilot is encouraging young people from urban areas to explore the countryside and what it has to offer. 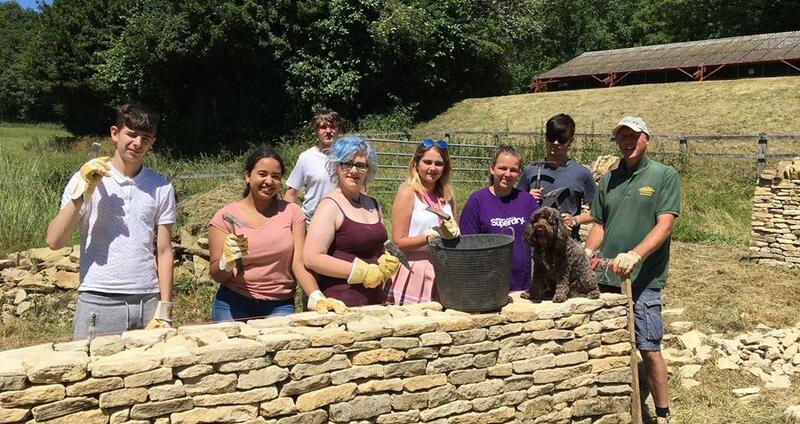 Coming from locations including Gloucester, Cheltenham, Stroud, and Lydney, the young people have been trying their hands at skills such as stone carving, dry stone walling, blacksmithing, map reading, bushcraft, and outdoor cooking. They've found the experience very rewarding and some are even now considering careers in the countryside. The Cotswolds LEADER programme of rural grants has so far supported 29 projects, approving funding worth £834,036, with a wide variety of projects still in the pipeline. The aim is for all funding to be fully allocated by March 2019 when the programme draws to a close. Supported projects have included improvements to glamping facilities; a craft gin distillery; the creation of a farm shop, and expansion of another; the development of a meat curing business; and investments in equipment for two wood-fuel businesses. Cotswold farmers have also benefited from the grant scheme, which encourages the use of new technology on farms to improve productivity. The farming grants have been diverse, and include a robotic milking system, slurry management machinery, and livestock handling equipment. Although LEADER is a capital programme, at its heart, it is about people. Nothing proves this better than the 25 jobs already created by this programme so far. Anyone wishing to apply for funding through LEADER should check application deadlines and details on how to apply here. Cotswolds Conservation Board is celebrating a record year for its visitor giving scheme, Caring for the Cotswolds. This August, the scheme has received its biggest single donation to date - raised by Manor Cottages, based in Burford. Manor Cottages has been a key member of Caring for the Cotswolds since its inception, and encourages its guests to add £1 to their bill when they book accommodation across the region. Caring for the Cotswolds encourages member businesses to invite their customers to donate by adding a little extra to their bill, which is then passed on to the Cotswolds Conservation Board. Donations are gathered together to build a fund which local groups and organisations can apply for to help run projects which focus on wildlife and habitat conservation, heritage projects, and walking, riding and bridleway improvements. So far, Caring for the Cotswolds has helped to fund a wide range of projects, including barn owl conservation, riverbank repairs in Bourton on the Water, conservation works on the River Coln, walking trails at Winchcombe and a new railway halt for Hailes Abbey. This recent contribution brings the fund to around £13,000 and 2018 applications are now being invited for funding from £500 - £2,500. The final draft of the Cotswolds AONB Management Plan 2018-2023 is out for consultation from 10th July to 14th August 2018. It will be adopted in autumn 2018. The associated Strategic Environmental Assessment (SEA) Environmental Report and Habitats Regulations Assessment (HRA) Screening Report are also out for consultation during this period. Although this consultation is targeted at the 15 local authorities that overlap with the Cotswolds AONB and the three statutory environmental bodies (Natural England, Historic England, and the Environment Agency), other stakeholders are welcome to provide a consultation response. Please see the Management Plan page of our website for more details.